Happy New Year everybody! 2011 was excellent, but I have good and reasonable hopes that 2012 will be even greater. This year, in addition to Krav Maga, we added firearms classes. 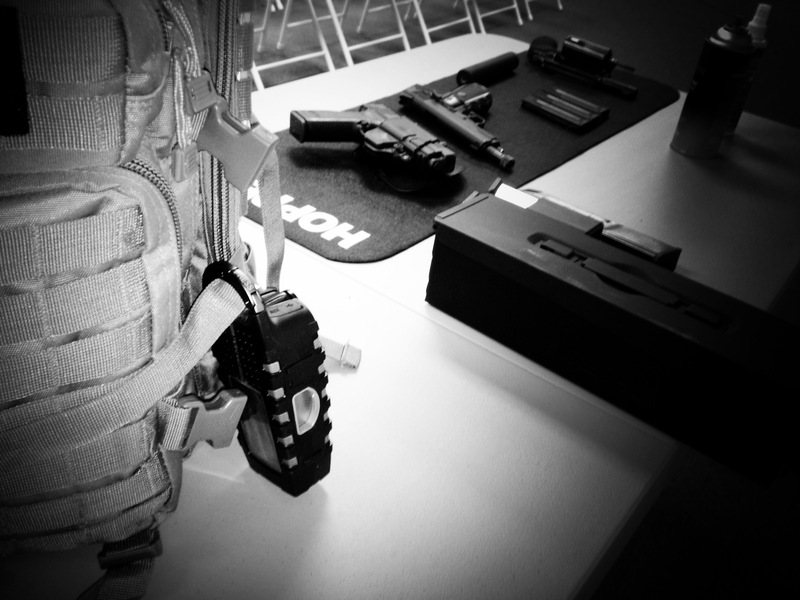 Concealed Carry Handgun aka CCH courses, primarily, and the program has gone far better than we had originally hoped. At TKM, we have a sophisticated clientele. We are friendly, intelligent Triangle folk who speak a language of mutual respect, a language of business, a language of love. But unfortunately, there are those among our communities that choose to speak another language, for one reason or another. They choose to speak Violence. And that’s why TKM exists, to teach you how to speak Violence. So when one of these thugs speaks Violence to you, you’ll be able to not only continue the conversation, but make your point with vim and verve. Think of Triangle Krav Maga as your local VSL institute. “Violence as a Second Language”. Now, as a combat instructor, I have to believe, deep down, that violence can actually solve problems, that it is necessary and even praiseworthy when used to protect and serve society. I mean, you can’t just train to destroy an enemy like we do without believing that an event could arise where a chop to the throat or a kick to the groin could be necessary. But adding firearms training goes beyond soft hands, hard hands, chemical spray, impact weapons; it goes straight to deadly force. The reach and severity of the firearm takes combat to a whole other level. When you hold a pistol in your hand, you are holding the power of life and death. It is extreme. It is dangerous. And it is excellent. Because as much as I value hand-to-hand skills, there are situations where distance and immediate deadly force require added firepower, pun intended. And that’s why I’m so proud of our students and what we’re accomplishing with our new program. 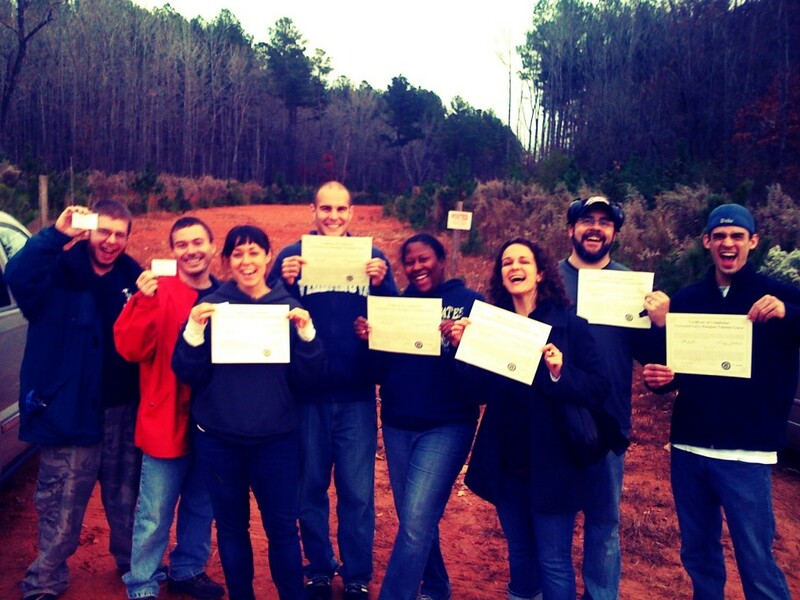 Anyone who takes our course has to pass a written test and a shooting proficiency trial. Then, they submit to the bureaucratic equivalent of a full body cavity search when they submit their paperwork to their Sheriff, who takes their fingerprints and goes over their record with a fine-toothed comb. Frankly, anyone who’s been under a microscope like that and is still awarded a CCH is okay in my book. I feel 100% comfortable around that kind of armed citizen. And that’s part of why we started TKM, really. It’s so satisfying, just working out with an awesome system like Krav Maga, but we also get to equip excellent people with excellent weapons. But now, our newest weapons can hit an opponent from a football field away. And I think that’s pretty cool.